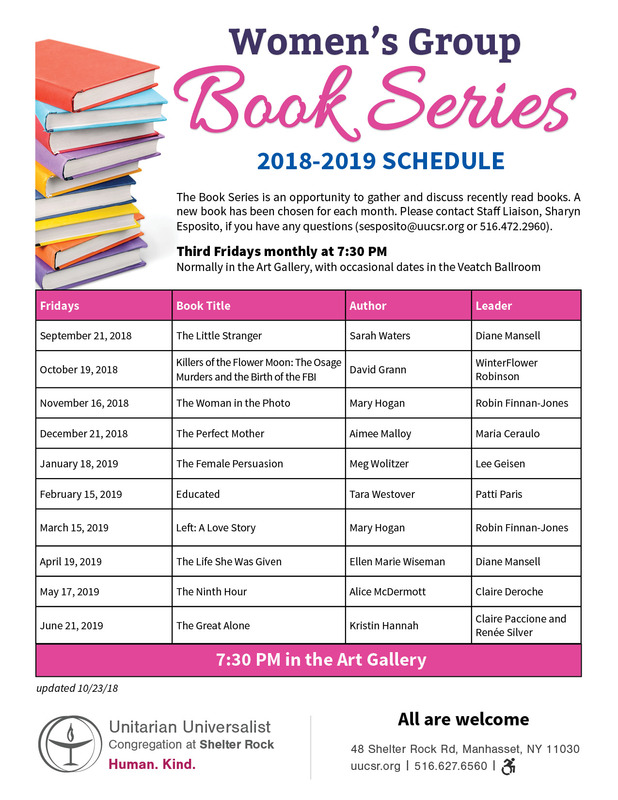 Women's Group Book Series meets on the third Friday of each month at 7:30 PM in the Art Gallery. It is an opportunity to gather and discuss recently read books. A new book has been chosen for each month. The list of books for the year is listed below and can also be found in the UUCSR Lobby.